Distinguishing Characteristics: White female. Gray hair, brown eyes. Stephenson wears eyeglasses. Her nickname is Minnie. Clothing/Jewelry Description: A short-sleeved dark purple shirt, a mid-thigh length t-shirt and men's house slippers. Medical Conditions: Stephenson suffers from dementia. She also has difficulty hearing others. 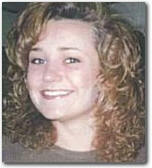 Stephenson was last seen in rural Quitman, Texas on June 25, 2001. She has never been heard from again. She has disappeared before and was located near Dallas, Texas, where several of her family members reside. Stephenson may have attempted to travel to Dallas again. She previously resided on Sixth Street in Oak Cliff, Texas. Her case opened 2018 by Psychic Brian Ladd.